By now we have made custom ties for organizations all over the world but occasionally we still get surprised from where we get inquiries. This was certainly the case when we were contacted by a church in Tonga. 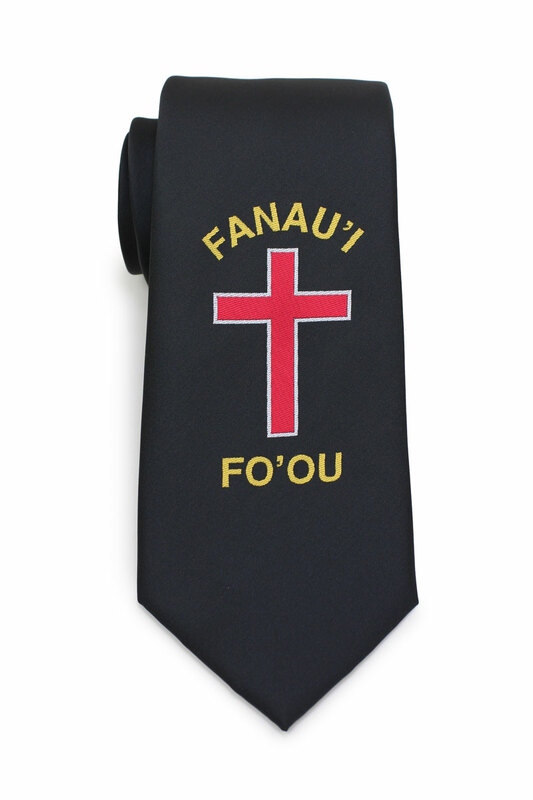 The client wanted a simple black tie with a large red cross along with their the tongan words “FANAU’I FO’OU” in gold. After a couple design revisions the client liked the design below the most. 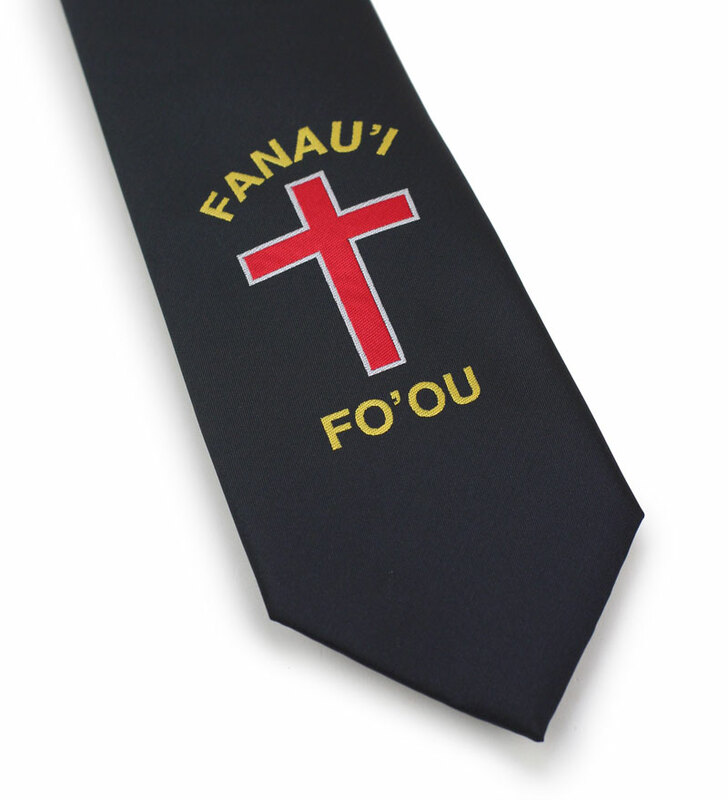 Just 35 days after starting the production did the ties arrive in Tonga.